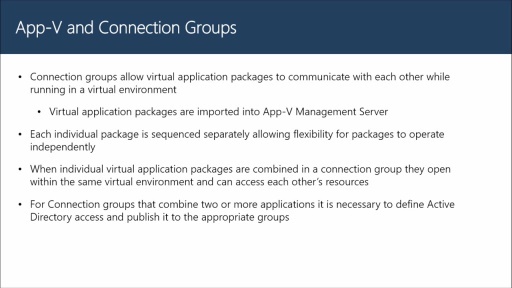 In this video demonstration, you will first learn the key requirements for using App-V with Configuration Manager. Then you will see how to prepare the App-V client in System Center 2012 R2 Configuration Manager, and how to create and configure sequenced applications. 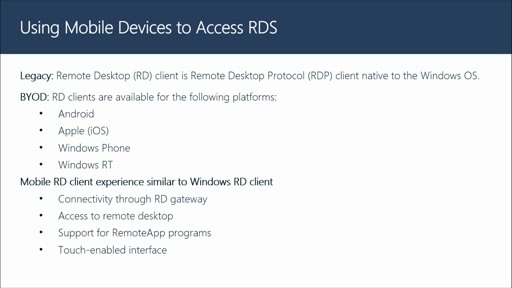 Next you will see how to distribute applications to distribution points, and how to create the virtual environment for connected applications. Finally, you will see how to deploy and verify deployment of the App-V client and the sequenced applications.